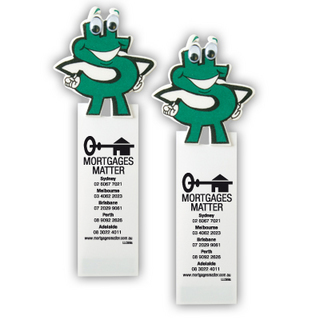 Magnetic Bookmark with shaped head, dollar sign. Magnetic bookmarks feature unique white folded split action PVC that can be placed in books and won't fall out. They are collected and attached to computers, faxes, telephones, cash registers, and used as turn down gifts on pillows (instead of chocolates by Hotels and Resorts).